Cushions are an easy way to update the look or feel of a room but finding the right one at the right price can be harder than it sounds. 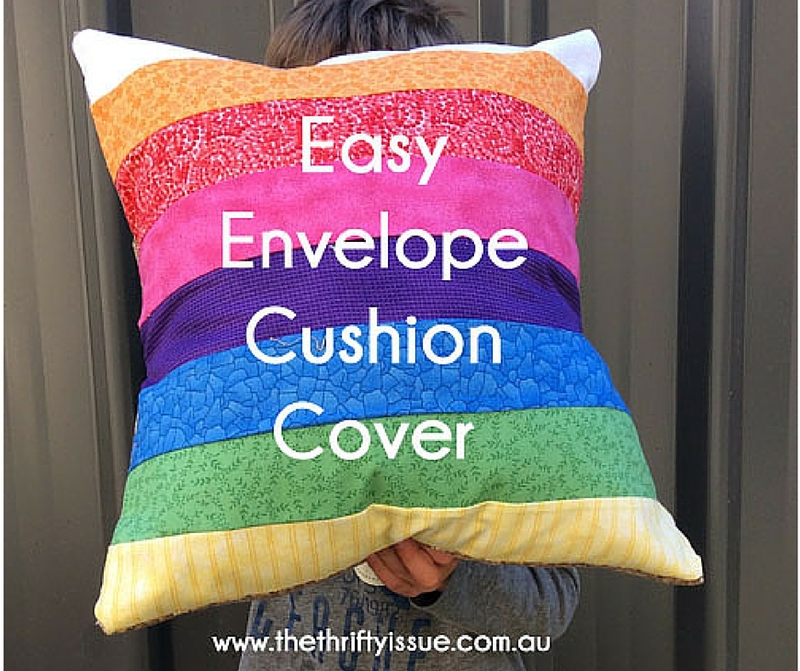 With a little bit of time and some straight sewing, you can make your own cushion for a fraction of the store price. Once you have the hang of it there will be cushions everywhere! Basically, you are sewing 2 pieces of fabric together then folding them over and sewing again. No need for zips or buttons as the fabric overlaps to enclose the whole insert. Start by cutting your fabrics to be 2 and a half times the size of the insert long and the size of the insert wide, for a size 14 cushion your fabric should be 35×14″. With right sides together sew the short ends together. Turn it in the right way, iron your seams and top stitch as close to the edge as you can. Next lay the fabric tube on the table with the outside fabric facing you. You now need to fold the fabric so that it forms a square 14″ big. The ends should overlap a few inches. Sew down the sides to hold it all together. If possible overlock for strength but it’s not absolutely necessary. Turn it in the right way and you have your cover. This one was actually made by my 6 year old son (which he sold the next day for $15 BTW). To make his rainbow fabric he simply sewed strips of fabric together the width he needed.